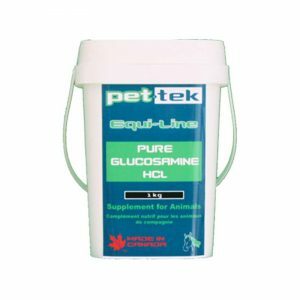 Pet-tek Allergy Care Formula is a premium natural supplement that is formulated to help animals that suffer from allergic reactions. Plant Sterols: Improves immune function, controls and regulates beneficial immune cells while inhibiting the response of those that cause inflammation and chronic disease. Boosts production of T-cells, Has similar anti-inflammatory capabilities as cortisone, increases the immune hormone DHEA while decreasing cortisol to help regulate inflammatory responses within the body. Helps lower triglyceride levels. Helps reduce coronary disease, and inhibit lung, breast, ovarian, colorectal and stomach cancers. Milk Thistle Seed: Antioxidant that helps treat and prevent liver disease/damage by rebuilding liver cells while removing toxins from the body. Helps reduce inflammation in the body, protects against airway inflammation, supports immune system, improves resistance to oxidative stress. Supports cognitive function, stimulates neurons, helps inhibit the growth and proliferation of some types of cancer cells, helps prevent bone loss, helps learning and memory impairment. Sarsaparilla Root: Helps purify the blood, reduces inflammation, protects the liver, removes toxins from the body. Contains Saponin which has anti-inflammatory chemical compounds, helps kill fungus, bacteria, cancer cells and harmful microbes. Aids skin health, longevity, improves immune function, lowers oxidative stress. Helps digestion, improves gut health, helps relieve fluid retention, puffiness, swelling and stomach bloating. Binds to endotoxins and helps make them less absorbable by the body, ultimately helping to control tissue damage caused by free radicals and inflammatory responses. Turmeric Root: Powerful anti-inflammatory. Potent antioxidant that can neutralize free radicals and helps increase the antioxidant capacity of the body, thus decreasing oxidative damage. Helps boost Brain-Derived Neurotrophic factor (BDNF) which improves brain function and lowers risk of brain disease such as Alzheimer’s and Depression. Can help reverse many steps in heart disease by improving the function of the endothelium (lining of blood vessels), helping to regulate blood pressure, blood clotting, and many other factors. Can help prevent cancer, reduce the growth of new blood vessels in tumors, metastasis, and contribute to the reduction and death of cancerous cells. Helps fight obesity and related symptoms. Citrus Bioflavonoids: Antioxidant properties that are beneficial to capillary strength, help to reduce inflammation, improve endothelial function, lower cholesterol and triglyceride levels. Aids immune system, supports blood circulation, reduces swelling, improves respiration, reduces oxidative stress, scavenges free radicals, stabilizes the reactive oxygen species, protects and increases antioxidant defenses in the body. Thyme extract: Helps lower blood pressure and cholesterol levels, stimulates red blood cell production and boosts blood circulation and oxygenation. Contains carvacrol which increases dopamine and serotonin levels to boost positive moods. Contains phenolic antioxidants that neutralize and eliminate free radicals throughout the body. Helps stimulate production of white blood cells, helps create and repair cells, muscles, tissues and blood vessels. Acts as an expectorant and anti-inflammatory which helps with coughs, bronchitis, and other respiratory issues. Helps relax blood vessels and lower blood pressure. Helps prevent fungal and viral infections. Colostrum: Contains an immunoglobuloin protein (SLGA) that helps balance the immune system, reduce inflammatory cytokines in the intestines, and repairs damage that has been done by chronic IBS, ulcerative colitis, Chron’s disease and candidiasis. Coordinates the immune systems to ensure the body can recognize threats and destroy them. Helps reduce the severity of autoimmune disorders and makes them easier to manage (helps tell healthy body tissue apart from abnormal tissue which can help reduce the body’s tendency to attack itself). Helps calm down and supress hyperactive immune systems. Reduces inflammation, activates T-cells, decreases toxic load on the lymphatic system (detoxification agent: prevents invasive agents found in everyday environment from being pushed into lymph nodes). Improves metabolism, helps heal liver damage, regulate fatty acid levels, increases bioactive compounds which defend against cancer, helps defend the body against bacterial invasion. Vitamin C: Antioxidant that helps regulate immune system, relieve allergic manifestations, maintain cardiovascular health, and prevent cancer. Helps lower blood pressure, ensures proper dilation of blood vessels which can prevent diseases such as high cholesterol, congestive heart failure (CHF) and angina. Helps prevent free radicals from damaging artery walls, keeps cholesterol in the bloodstream from oxidizing and progressing into heart disease, boosts immune system, helps with collagen production and wound repair. Antioxidant that helps protect cells and DNA from damage and mutation. Magnesium: Important for the normal functioning of cells, nerves, muscles, bones and the heart. Helps relieve constricted airways in the lungs. Deficiency may lead to higher levels of histamine when exposed to allergens. Hesperidin: Antioxidant that has radical scavenging activity, neutralizes reactive oxygen species, protects DNA and tissues from radiation, inflammation and toxins. Helps protect against cancer, lowers inflammation, helps protect the heart and brain against oxidative stress, helps lower glucose levels, reduces fat accumulation, promotes bone health, prevents osteoporosis, protects against memory loss, helps reduce depressive symptoms, anxiety and stress. Inhibits histamine release and stops Th2 cytokine secretion (helps stop allergic reactions, reduces responsiveness to antigens). Bifidobacterium longum: Boost immunity, helps alleviate subjective symptoms and affected blood markers of allergy, improves gut microbiota, reduces gastrointestinal symptoms of celiac disease, inhibits growth of candida, combats infections, reduces incidence of influenza and fever, relieves inflammation, helps lower cholesterol, boost cognitive function, combat depression and anxiety, improve lung injury following infection or sepsis, decreases lung inflammatory responses. Beneficial for liver health, helps supress some types of cancer and cancer cell growth, helps increase bone formation and decrease bone loss. Bifidobacterium infantis: Helps decrease allergic response, suppress inflammatory response to antigens, decrease headache occurrence, blood sugar spikes, chronic illness. Helps maintain healthy digestive tract and metabolism. Helps keep microflora in gut healthy and stable to fight off bacteria and toxins.